Land title history along Gourdvine Creek is a mess but it’s at the heart of where I’d like to center a new map based study. I also hope more finds made this past week will close the story of Moses K. Hyams and his life along the Rocky River. It’s been a busy week. Anson U-477, 22 Feb 1822, William Barnes to Polly Jenkins. Being 118 acres on the east side of Gourdvine Creek ajoining his own land. Wit: Solomon Mullis, Jacob Little. ANSON V-153, 20 — 1825, Absolum Myers Shff. To Thomas Griffin. Being the following 3 tracts sold arising from an execution issuing from the Court of Please and Quarter Sessions for the sum of $328 recovered by William Mullis against William Barnes, John Rowe and others. Anson V-296, 19 Jan 1826, William Barnes to Solomon Mullis. Land on the southwest side of Gourdvine joining Griffin lands. Anson W-24, 28 Mar 1827, William Barnes to Ransom Baucom. Being 50 acres on Gourdvine adjoining Barnett lands. Wit: Daniel Smith. Anson W-322, 12 Jul 1827, Absolum Myers Shff. to Robert Strange of Cumberland County. Being the 3 tracts sold arising from an execution issuing from the Court of Please and Quarter Sessions for the sum of $424 recovered by the Gove against John Rushing, Paul Rushing and William Barnes. Anson Z-129, 24 Dec 1831, William Barnes to Berry Austin. Being 300 acres on Gourdvine adjoining Hyams lands. There’s likely issues with the above, though I’ve not had the time to confirm through platting. The lands sold by the Sheriff show that William may have been involved in a failed business. Gold mining? And of particular interest, in 1827, William’s lands were sold to Robert Strange, president of the Bank of Cape Fear. Strange was also a Senator and Grand Master of the Grand Lodge of North Carolina. In the office of the clerk of the court of this county is a deposition made and signed in the yer 1855, by the famous Judah. 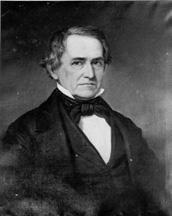 P. Benjamin, who afterwards won so much renown as a member of the cabinet of President Jefferson of the Southern Confederacy. Benjamin was a Jew and thought by many writers and historians to have been the most able man in Mr. Davis’ cabinet. After the wr he settled in England and won high place in official circles, having become a member of the Queen’s privy council. 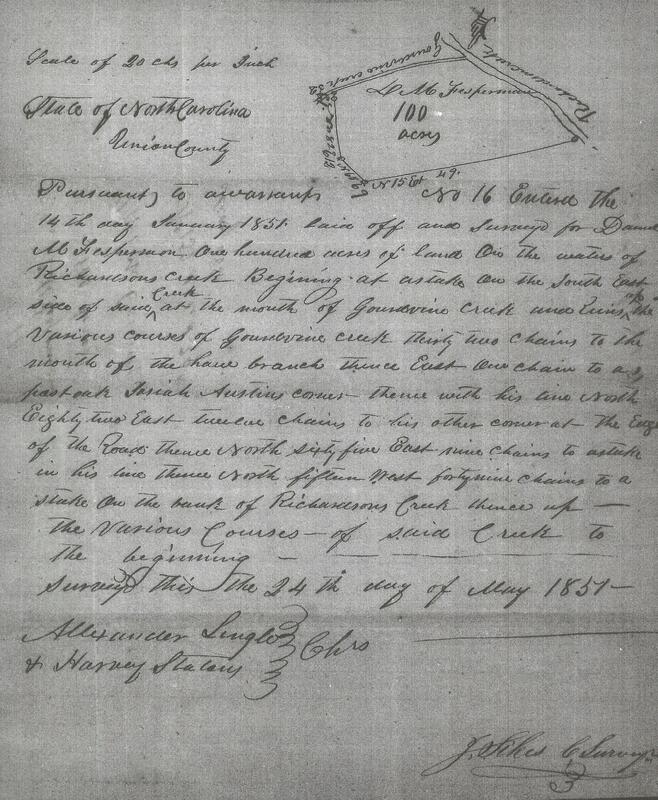 The affidavit on file here was given on the date stated in a land suit brought in this county against D. M. Fesperman by the heirs of Moses K. Hyams, a well-known Jew who did business in the first part of the century where Olive Branch now is. He went to Louisiana and died having his brothers and sisters as his heirs. One of these sisters is the wife of Abram C. Labatte, who did business at the Tindle place, where the first county court was held. LaBatte had also gone to Louisiana. Hyams died in Louisiana, while still owning land in this county. D. M. Fesperman had acquired some shares in the land and after the death of Hyams, had come into possession of it. The Heirs of Hyams brought suit to recover it and it was necessary to establish kinship of these with Hyams. 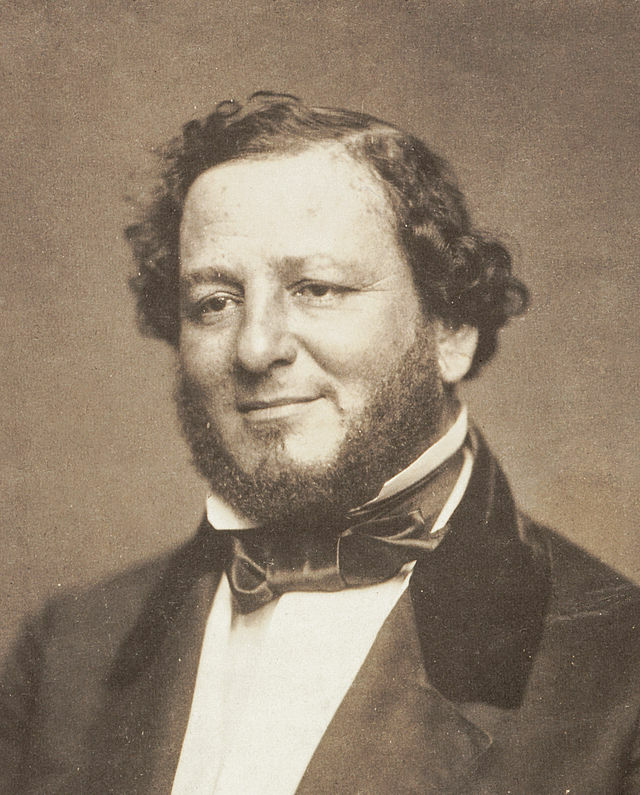 Judah P. Benjamin’s testimony was to the effect that he had known the parties to the suit and their kinship with the deceased man. It is an interesting old document and Squire Simpson was as happy over its discovery as a boy with a new toy. Second Oldest Mason in America, Last Original Member of the Firemen’s Charitable Association, a Leader in Israel, He Took the First Steamship to Galveston. 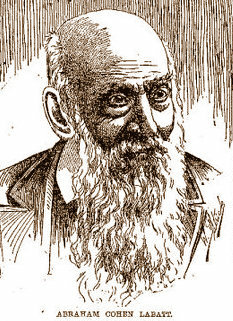 Abraham Cohen Labatt, one of the oldest citizens of Texas. Born in Charleston, S. C. on 2 July 1802, he went to North Carolina as a young man. He married Caroline Hyams of Charleston in 1825, and in 1830 he removed to New Orleans. He remained there til 1849, when he went to California. After the war he came to Texas and settled, first in Waco. There he lived till 1879, when his wife died, and he came to Galveston. In 1836 he brought the steamship Columbia to Galveston, which was the first steam vessel to enter this port. There was no pilots here then, and a man had to be sent to Houston by rowing up Buffalo Bayou to notify the people that the Columbia had arrived here. Gen. H. B. Bee was a passenger on that occasion. Mr. Labatt was intimately acquainted with all the old Texans, and entertained Crockett and Sam Houston at his home many times. Mr. Labatt was made a Mason in May, 1823, at Cheraw, S. C. He was postmaster of David Crockett Lodge, San Francisco, and was the second oldest Mason in the United States. Though there’s likely more to this that remains unsolved and of interest, it’s time to turn the page. For those interested in Jewish history for the area of Union County NC, take a look at a follow-up article written on 19 Sep 1911 in the Monroe Journal. It outlines the family of Vangal Simons, the Moses family, the Labatt’s and Moses Hyams. This entry was posted in Benjamin Thomas of Anson NC, Thomas, Uncategorized on January 25, 2015 by geothos.